Ghana’s crackdown on illegal mining is expected to hurt the country’s gold and diamond production in 2017. 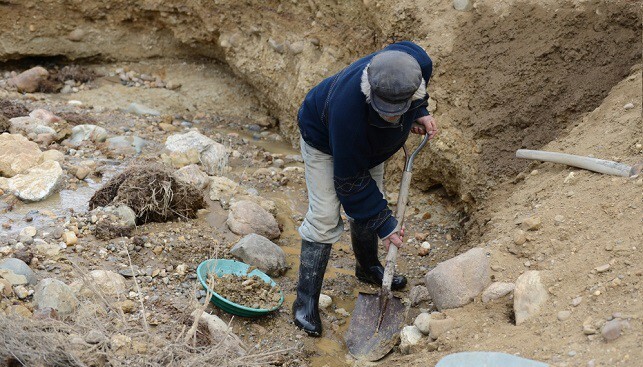 According to Mining Weekly, President Nana Akufo-Addo’s government, which took office in January of this year, has banned illegal artisanal mining and gold panning. Barbara Oteng-Gyasi, deputy minister of land and mines, is quoted as saying: “We anticipate at least a 50% drop in production from the small miners” of gold. As for diamonds, the minister said: “The country’s diamond output is also likely to fall substantially in 2017 as diamonds are mainly extracted by small-scale mines”. In 2016, Ghana’s gold production totaled 4.1 million ounces – the highest level in nearly 40 years. These number made Ghana the Africa’s second largest producer of gold. Ghana’s diamond production totaled 143, 005 carats in 2016.